Grahamstown has around two-and-a-half months before it could run into serious water supply problems, according to Makana Municipality. This information comes as the Department of Water and Sanitation warns that the Eastern Cape’s water shortages continue, despite the recent rains, with Settlers and Howieson’s Poort dams currently at 20% and 21% respectively. 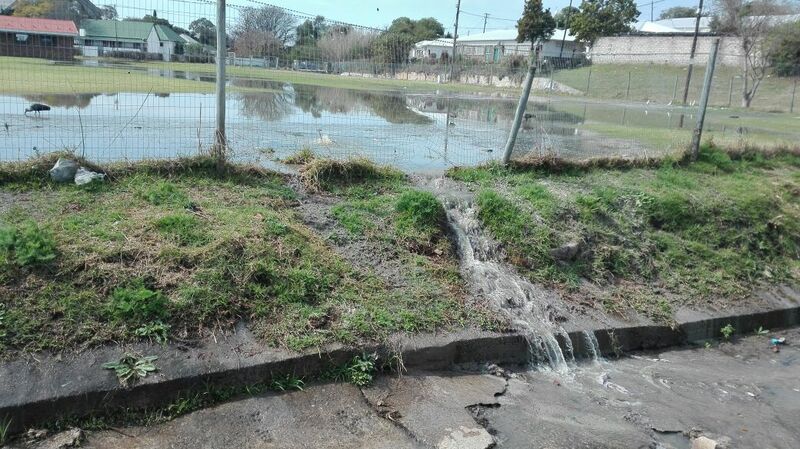 The Infrastructure directorate has its hands full after vandalism at the Belmont Waste Water Treatment Works that will cost R300 000 to repair has resulted in extensive sewage overflows. This comes against the background of staff in the water and sanitation department resisting overtime cuts through unofficial go-slows. 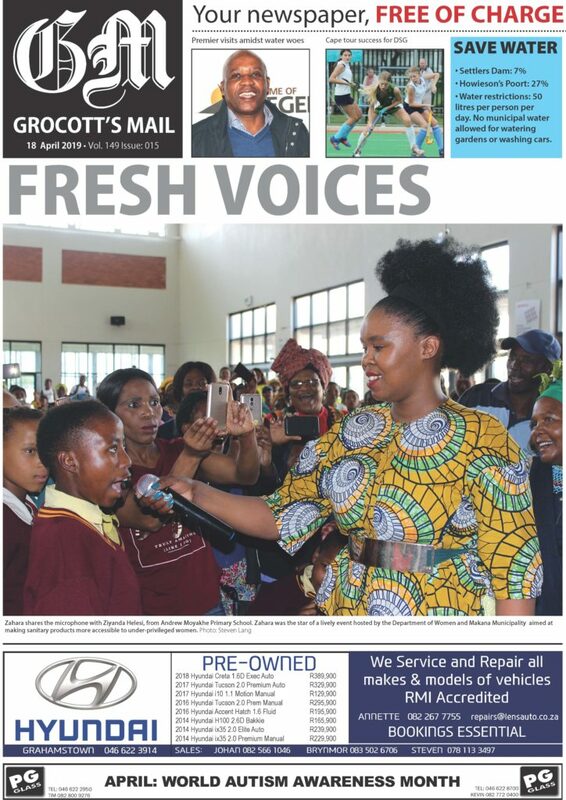 Through spokesperson Yoliswa Ramokolo, the Infrastructure and Technical Services directorate this week replied to questions from Grocott’s Mail about the crises in water supply and waste water management. 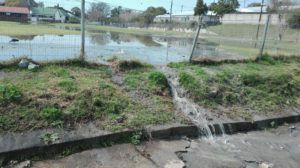 City officials said this week they are planning how to implement the recommendations of a recent report on the state of Grahamstown’s dams. The dive inspection conducted by commercial outfit Blackwater Diving early last month was to inspect the outlet works of Settlers and Howieson’s Poort dams. Their task was to make recommendations about refurbishing the existing works, as well as about making additional water supply available for pumping. The report revealed a concerning state of affairs at both dams, including a warning emphasised in capital letters that there is a danger of a swimmer being sucked into the open inlets at both Settlers and Howieson’s Poort dam walls. At Howieson’s Poort the report indicates that the infrastructure is severely in need of renovation (rusted or no grids at inlets; massive debris build-up; dangerous and corroded top landing on the tower; valves seized and/or broken) and recommends a three-day clearing operation, as well as the refurbishment of the tower. Two possible methods of extending the pumping life of the Settlers and Howieson’s supplies have been recommended – removal of silt or installing a suction pipe (floating intake) on the third inlet that can go deeper than the current level of extraction. Ramokolo said official were busy with plans to implement the dive report recommendations. Work would commence as soon as possible with refurbishing the grids and towers of both western dams. “A notice will be issued in advance when this operation will be executed as this will involve switching off the pump station,” Ramokolo said. She said based on the dive report, it was estimated that the system would run into supply problems by November 2017. Of the danger to swimmers, Ramokolo said the clubs running activities in the area were responsible for ensuring their members’ safety. The dam is used by anglers, school and university rowing clubs and paddlers, among other recreational users. The Department of Water and Sanitation this week share the bad news that despite recent snow and rainfall in the Eastern Cape Province, its dam levels were still under stress. “A significant amount of rain is required to lift them out of their situation caused by the recent drought,” the Department said on Tuesday. The overall average of dam levels in the Province this week was at 56.6 percent, compared to last week when they were at 56.1 percent – a slight increase of 0.5 percent this week, the Department said. However, this time last year they were at 66.3 percent. 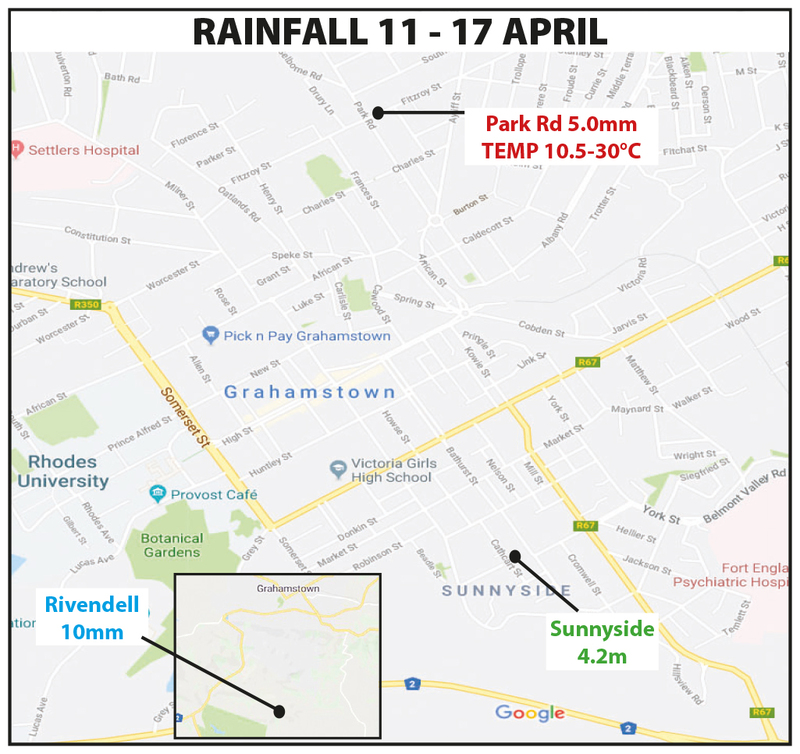 The Algoa Catchment System with five dams serving Nelson Mandela Metro dropped from 32.1 percent to 31.9 percent regardless of these recent rains. The Amatole Catchment System with six dams serving Buffalo City Metro improved to 63.0 percent average from 61.6 percent, a slight increase of 1.4 percent. Dams supplying water to the Butterworth communities were at an all-time low with Gcuwa Dam at 29.4%, Xilinxa dam at 0.3% and Toleni dam at 26.3%. “Eastern Cape communities must continue saving water, as dam levels continue largely unchanged,” the Department said. Water from the Orange River via the Fish River pumped from the James Kleynhans Water Treatment Works at Glen Melville Dam is the backup supply for Grahamstown should pumping no longer be viable from the two western supply dams. However, with other areas in the region also reliant on this supply, there may be a risk that the supply is restricted. Water restrictions instituted in Makana Municipality in June remain in place, with the use of treated water via hosepipes to wash cars, water plants or filling swimming pools prohibited. Meanwhile, the municipality’s infrastructure portfolio committee meeting earlier this month recalled the disaster of June 2016, when the pump station at the James Kleynhans treatment works was flooded and Grahamstown, on the eve of the National Arts Festival, faced extensive water outages. An agenda item referred to the incident saying the right number of qualified staff was needed at the facility to avert the risk of it happening again. Ramokolo this week confirmed that the staff member responsible for the incident was dismissed; however she could not reveal the staff member’s name because of confidentiality requirements. In the same meeting, it was noted that vandalism to the Belmont Waste Water Treatment Works in June would cost around R300 000 to repair. Electrical components were vandalized and pumps were damaged due to cable theft. Until equipment is replaced, Ramokolo explained this week, pumping is being done manually which results in overflows. While several upgrade projects were mentioned in the 17 August agenda, Belmont sewage works did not feature. Ramokolo this week said the facility’s upgrade, was funded by DWS through the Regional Bulk Infrastructure Grant (RBIG) for the 2017/2018 financial year. “All the procurement processes are done by the department,” Ramokolo said. The town’s water and sewage crises come against the backdrop of staff, particularly in water and sanitation, digging in their heels on overtime restrictions. At the August meeting, officials spoke of unnofficial go-slows and no-shows, but also of a shortage of vehicles and equipment that made the situation worse.